Hello, loyal Tokeet users we are proud to announce the release of Rategenie, the fourth exciting product in the Tokeet suite. With this new application, we plan on revolutionizing the way you manage both your properties and profits. So what is Rategenie? It might sound like some magical pricing, but we promise you that it is very real. Rategenie is the future of vacation rental rates management. Rategenie is a sophisticated rate manager that allows users to easily set up dynamic pricing strategies across their entire rental inventory. Once a strategy is chosen, you simply sit back and let Rategenie drive your bookings and fill your calendar. While it’s simple to use, Rategenie relies on an intricate system of rules and triggers to arrive on the perfect pricing for your rental every day. Users have the capability of adjusting and creating their own rate strategies to best suit their needs. Rategenie has regularly improved rental revenues up to 30% over flat rates and manual strategies! The app also provides metrics and local market research to ensure your strategy is effective and always on top of the competition. So now you must we wondering, how do I get my hands on this? Never fear, Rategenie is a fully integrated add-on app for Tokeet users. Simply log in to your Tokeet dashboard, select Rategenie from the Add Ons menu, and you’re on your way. It’s that simple! Simply hover over the Add On menu and select Rategenie! And, as a reflection of confidence in our product, we’ve decided to offer a free 30-day trial to all Tokeet users. All you have to do is log in with your account to start working with Rategenie! For more on Rategenie’s features and pricing, please visit Rategenie.io. Hey guys, for those of you who are interested in what we've been up to with the new version of Tokeet, aka TV3. Here is a sneak peak video of TV3 in action. We've pushed the release of TV3 back to Q1 2019 so that we can pack more awesome features into the product. Let us know what you think! Greetings, ghouls and ghosts! It's time for Haunted Halloween Edition of "What's New @ Tokeet!" Updated: [Channels] Performance updates made to AirBnB API (NEW) to accommodate new verification steps. Fixed: [Bookings] Some triggers markes as "skipped" were still able to fire. Fixed: [Bookings] Marked for followup filter was omitting some guests. Updated: [Templates] Tooltips have been updated for clarity. Fixed: [Templates] Tags filter was showing duplicate entries for some new tags. Hello, valued Tokeet users! Has it really been 10 says since the last blog entry? Well, the wait is over, and now it's time to see "What's New @ Tokeet" this week! Fixed: [Registration] The Continue button was not working correctly. Updated: [Recent Activity] Added an All option to the events filters, to allow all events to be shown in the Successful and Unsuccessful Triggers lists. Fixed: [Triggers] Typo on the rentals filter label, when using the exclusion list. Fixed: [Recent Activity] Typo in the events filters for the Card Deleted event. Fixed: [My Signature] Resetting a saved signature, and closing the pop-up, was not deleting the signature from the user account. Fixed: [Templates] Some users without saved signatures received error messages when manually signing contracts. Do you know what today is? Yes, it's Hump Day, but it's also time for another installment of the hottest changelog on the internet. Let's see "What's New @ Tokeet" this week! We made a previous announcement about the new Agoda API, and more than a month in, we're seeing encouraging connectivity numbers. In case you missed the first announcement, please allow us to remind you of the great new addition to our growing list of API connections. We're excited to announce that you can now connect your Agoda listings to Tokeet via API. 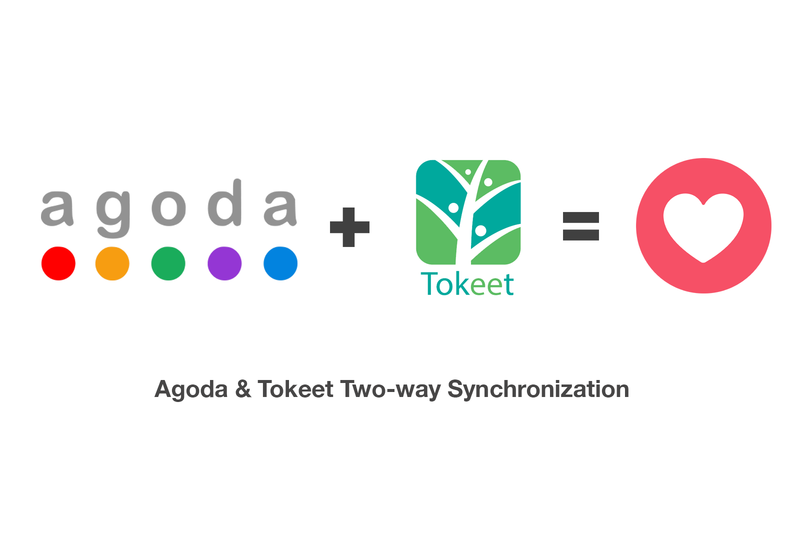 Agoda and Tokeet have partnered to bring you a seamless, fast, and reliable connection between Tokeet and your Agoda listing. Connect your Agoda account to Tokeet and receive real-time reservation notifications. Rates and availability synchronization is also available so you can be sure that your price and calendar are always up-to-date. 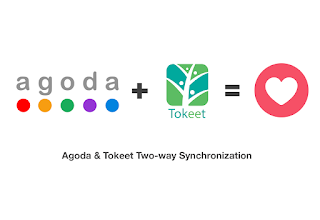 Click here for instructions on connecting Agoda to Tokeet. We've been working hard to provide you with more options in Tokeet to connect to the top distribution channels around the world. Agoda is another step in making Tokeet the obvious choice for any property manager in any market globally. Updated: [Channels] Rental amenities no longer push to AirBnB API (NEW). Now, amenities can be set on airbnb.com before connecting to Tokeet, and Tokeet will not change them with the rest of the listing details. This is to accommodate the full list of AirBnB amenities, while we update our system to support them. Fixed: [Channels] AirBnB API (NEW) rate push error for pushing more than 731 days. Fixed: [Channels] Authorization Required error for Booking.com availability pushes. Today we would like to unveil a new weekly feature to the Tokeet Changelog called "What's New @ Tokeet". This weekly update will chronicle all significant updates, changes and bug fixes made to the Tokeet suite of applications since the last update. As this is the first edition of this new feature, we will be focusing on the latest round of changes to the Tokeet, Signature and Automata web applications. Please check back weekly to see what new updates we have made. Updated: [Channels] We now push 2 years' worth of rates for Airbnb API (NEW) with each rate push. Updated: [Channels] You can now leave any field blank in the Airbnb API (NEW) Price Settings that you do not want to update. Fixed: [Rental Rates] Rates calendar (standard) was showing old dynamic rates. Updated: [Triggers] Tooltips have been updated for clarity. Updated: [Triggers] Account Active/Paused action changed into a switch to improve visibility. Updated: [Triggers] Added Chinese translation support for both Traditional and Simplified. Fixed: [Triggers] Guests with Chinese last names were receiving Chinese template translations. Fixed: [Triggers] Some triggers were firing despite being inactive. Fixed: [Triggers] Rental availability condition not reading the correct availability. Fixed: [Triggers] Available days before/after condition was not reading the day count correctly. Fixed: [Recent Activity] Booking tags color indicator missing from the graph. Fixed: [Custom Codes] Custom codes not displaying in the template. Fixed: [Custom Codes] Custom codes not displaying the correct value for the rental the guest has booked. Updated: [All] Info icon tooltips updated with new information. Updated: [Dashboard] You can filter the graph by template type. Updated: [Custom Codes] You can create custom data codes to be used in templates.